Sandfire Resources NL (ASX:SFR) is a mining and exploration company. The Company's principal activities are production and sale of copper, gold and silver from its DeGrussa Mine in Western Australia, and exploration and evaluation of mineral tenements and projects in Australia and overseas. It has two segments: The DeGrussa Copper Mine and Exploration and evaluation. The DeGrussa Copper Mine is a copper-gold mine located in the Bryah Basin mineral province of Western Australia, approximately 900 kilometers north-east of Perth and 150 kilometers north of Meekatharra. The DeGrussa Copper Mine generates revenue from the sale of copper-gold products to customers in Asia. The Exploration and evaluation segment includes exploration and evaluation of the mineral tenements in Australia and overseas, including exploring for repeats of DeGrussa Volcanogenic Massive Sulfide (VMS) mineralized system at the Doolgunna Project and its investment in Tintina Resources Inc and WCB Resources Ltd.
White Rock Minerals Ltd (ASX:WRM) provides the Company&apos;s Quarterly Activities Report. 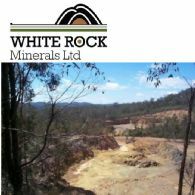 White Rock Minerals Ltd (ASX:WRM) provides the Company&apos;s latest Investor Presentation. 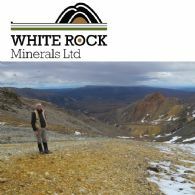 White Rock Minerals Ltd (ASX:WRM) is pleased to announce that it has secured an additional $1 million in funding to support its exploration activities at its globally significant high-grade zinc VMS Red Mountain Project in Alaska. 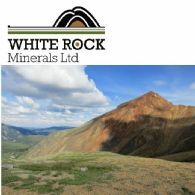 White Rock Minerals Ltd (ASX:WRM) announced on 10 July 2018 a cornerstone investment and strategic relationship with Sandfire Resources NL (ASX:SFR). The strategic relationship includes (among other things) an anti-dilution right enabling Sandfire to maintain its shareholding interest in White Rock, subject to ASX granting a waiver from ASX Listing Rule 6.18. 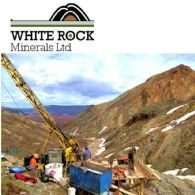 White Rock Minerals Limited (ASX:WRM) is pleased to announce a cornerstone investment and strategic relationship with Sandfire Resources NL (ASX:SFR). 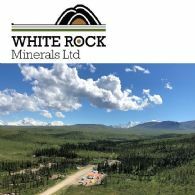 The parties have entered into a subscription agreement to formalise this strategic relationship in relation to White Rock&apos;s globally significant high-grade zinc VMS Red Mountain Project in Alaska. 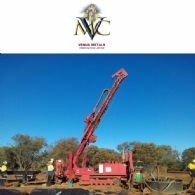 Venus Metals Corporation Limited (ASX:VMC) are pleased to announce that the diamond core drilling has commenced at the Curara Well Gold-Diamond-Base Metals Project. The project is located 10 km northeast of Sandfire Resources (ASX:SFR) DeGrussa Copper Mine and 10 km southwest of Plutonic Gold Mine in the Doolgunna Region. 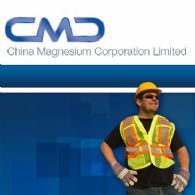 China Magnesium Corporation Ltd (ASX:CMC) is pleased to advise that it has secured a 40% interest in a funded lithium exploration project in the world-class Greenbushes area of Western Australia, through a proposed joint venture with a company associated with a diversified Chinese lithium concentrate producer and processor. 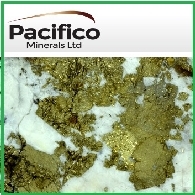 Pacifico Minerals Ltd (ASX:PMY) report that diamond drilling of drill hole CCD04, positioned to intersect an airborne electromagnetic ("AEM") conductivity high, has ceased due to total mechanical failure of the drill rig at a depth of 464m.